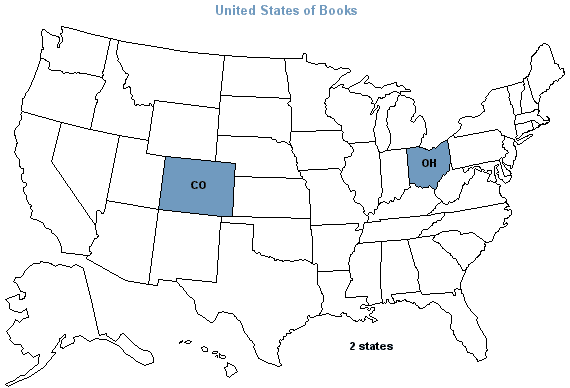 January is the first month of the United States of Books (click here for further details). 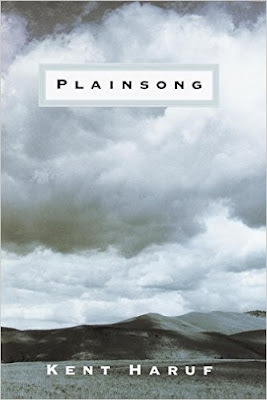 Plainsong takes place in the small town of Holt, Colorado and revolves around people within and around this town. At first it was a stretch for me to read the book, it is not my usual era or type of reading and I had a hard time getting into the story. The story does gain momentum the further you get into the book and draws the reader into all the little storylines going on at the same time. Every small town has drama and this storyline bounces back and forth between several dealing with hard hitting subjects like teenage pregnancy, farm life, and dysfunctional families. It is heart warming in it's portrayal of the interwoven relationships this group of people form due to their personal situations. This story is about real people and real lives. Not everyone will like it because some readers want to read feel good, entertain me, books but I recommend that you give it a try. You may learn something about yourself that you never knew. In the small town of Holt, Colorado, a high school teacher is confronted with raising his two boys alone after their mother retreats first to the bedroom, then altogether. A teenage girl—her father long since disappeared, her mother unwilling to have her in the house—is pregnant, alone herself, with nowhere to go. And out in the country, two brothers, elderly bachelors, work the family homestead, the only world they've ever known.